Cider or cyder (/ˈsaɪdər/ SY-dər) is a fermented alcoholic drink made from any fruit juice; apple juice (traditional and most common), peaches, pears (“Perry” cider) or other fruit. Cider alcohol content varies from 1.2% ABV to 8.5% or more in traditional English ciders. In some regions, cider may be called “apple wine”. Mead (/miːd/) is an alcoholic drink made by fermenting honey with water, sometimes with various fruits, spices, grains, or hops. The alcoholic content of mead may range from about 8% ABV to more than 20%. The defining characteristic of mead is that the majority of the drink’s fermentable sugar is derived from honey. Pulque is the Mesoamerican fermented drink made from the “honey water” of maguey cacti. The drink distilled from pulque is tequila or mescal. “Fruit wines” are made from fruits other than grapes, such as plums, cherries, or apples. Sake is a popular example of “rice wine“. Rectified spirit, also called “neutral grain spirit”, is alcohol which has been purified by means of “rectification” (i.e. repeated distillation). The term neutral refers to the spirit’s lack of the flavor that would have been present if the mash ingredients had been distilled to a lower level of alcoholic purity. Rectified spirit also lacks any flavoring added to it after distillation (as is done, for example, with gin). 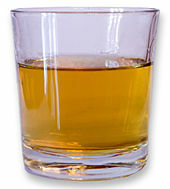 Other kinds of spirits, such as whiskey, are distilled to a lower alcohol percentage to preserve the flavor of the mash. The main active ingredient of wine, beer and distilled spirits is alcohol. Drinking small quantities of alcohol (less than one drink in women and two in men per day) is associated with a decreased risk of heart disease, stroke, diabetes mellitus, and early death. Drinking more than this amount, however, increases the risk of heart disease, high blood pressure, atrial fibrillation, and stroke. The risk is greater in younger people due to binge drinking, which may result in violence or accidents. About 3.3 million deaths (5.9% of all global deaths) are believed to be due to alcohol each year. 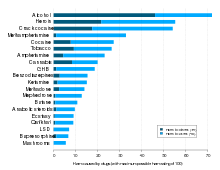 Alcoholism reduces a person’s life expectancy by around ten years and alcohol use is the third leading cause of early death in the United States. Even moderate alcohol consumption increases cancer risk in individuals. No professional medical association recommends that people who are non-drinkers should start drinking wine. Another long-term effect of alcohol usage, when also used with tobacco products, is alcohol acting as a solvent, which allows harmful chemicals in tobacco to get inside the cells that line the digestive tract. Alcohol slows these cells’ healing ability to repair the damage to their DNA caused by the harmful chemicals in tobacco. Alcohol contributes to cancer through this process. Alcoholic drinks are a source of food energy. The USDA uses a figure of 6.93 kilocalories (29.0 kJ) per gram of alcohol (5.47 kcal or 22.9 kJ per ml) for calculating food energy. 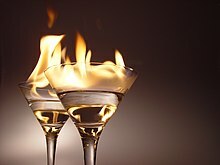 In addition to alcohol, many alcoholic drinks contain carbohydrates. For example, in 12 US fl oz (355 ml) of 5% ABV beer, along with approximately 18 ml of alcohol (96 kilocalories or 400 kilojoules), there are usually 10–15 g of carbohydrates (about 40–60 kcal or 170–250 kJ). 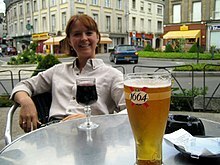 Excessive daily calorie intake may contribute to an increase in body weight and “beer belly“. In addition to the direct effect of its caloric content, alcohol is also known to potentiate the insulin response of the human body to glucose, which, in essence, “instructs” the body to convert consumed carbohydrates into fat and to suppress carbohydrate and fat oxidation. Ethanol is directly processed in the liver to acetyl CoA, the same intermediate product as in glucose metabolism. Because ethanol is mostly metabolized and consumed by the liver, chronic excessive use can lead to fatty liver. This leads to a chronic inflammation of the liver and eventually alcoholic liver disease. Pure ethanol tastes bitter to humans; some people also describe it as sweet. However, ethanol is also a moderately good solvent for many fatty substances and essential oils. This facilitates the use of flavoring and coloring compounds in alcoholic drinks as a taste mask, especially in distilled drinks. Some flavors may be naturally present in the beverage’s raw material. Beer and wine may also be flavored before fermentation, and spirits may be flavored before, during, or after distillation. Sometimes flavor is obtained by allowing the beverage to stand for months or years in oak barrels, usually made of American or French oak. A few brands of spirits may also have fruit or herbs inserted into the bottle at the time of bottling. The shape of a glass can have a significant effect on how much one pours. A Cornell University study of students and bartenders’ pouring showed both groups pour more into short, wide glasses than into tall, slender glasses. Aiming to pour one shot of alcohol (1.5 ounces or 44.3 ml), students on average poured 45.5 ml & 59.6 ml (30% more) respectively into the tall and short glasses. The bartenders scored similarly, on average pouring 20.5% more into the short glasses. More experienced bartenders were more accurate, pouring 10.3% less alcohol than less experienced bartenders. Practice reduced the tendency of both groups to over pour for tall, slender glasses but not for short, wide glasses. These misperceptions are attributed to two perceptual biases: (1) Estimating that tall, slender glasses have more volume than shorter, wider glasses; and (2) Over focusing on the height of the liquid and disregarding the width. Alcohol laws regulate the manufacture, packaging, labelling, distribution, sale, consumption, blood alcohol content of motor vehicle drivers, open containers, and transportation of alcoholic drinks. Such laws generally seek to reduce the adverse health and social impacts of alcohol consumption. In particular, alcohol laws set the legal drinking age, which usually varies between 16 and 25 years, sometimes depending upon the type of drink (e.g., beer vs. hard liquor). Some countries do not have a legal drinking or purchasing age, but most countries set the minimum age at 18 years. Such laws may take the form of permitting distribution only to licensed stores, monopoly stores, or pubs and they are often combined with taxation, which serves to reduce the demand for alcohol (by raising its price) and it is a form of revenue for governments. These laws also often limit the hours or days (e.g., “blue laws“) on which alcohol may be sold or served, as can also be seen in the “last call” ritual in US and Canadian bars, where bartenders and servers ask patrons to place their last orders for alcohol, due to serving hour cutoff laws. In some countries, alcohol cannot be sold to a person who is already intoxicated. Alcohol laws in many countries prohibit drunk driving. ^ a b “Minimum Legal Age Limits”. IARD.org. International Alliance for Responsible Drinking. Retrieved 23 June 2016. ^ “Faostat”. Faostat.fao.org. Archived from the original on 2011-05-20. Retrieved 2016-08-25. ^ a b c d e f g h i Griswold, Max G.; Fullman, Nancy; Hawley, Caitlin; Arian, Nicholas; Zimsen, Stephanie R M.; Tymeson, Hayley D.; Venkateswaran, Vidhya; Tapp, Austin Douglas; Forouzanfar, Mohammad H.; Salama, Joseph S.; Abate, Kalkidan Hassen; Abate, Degu; Abay, Solomon M.; Abbafati, Cristiana; Abdulkader, Rizwan Suliankatchi; Abebe, Zegeye; Aboyans, Victor; Abrar, Mohammed Mehdi; Acharya, Pawan; Adetokunboh, Olatunji O.; Adhikari, Tara Ballav; Adsuar, Jose C.; Afarideh, Mohsen; Agardh, Emilie Elisabet; Agarwal, Gina; Aghayan, Sargis Aghasi; Agrawal, Sutapa; Ahmed, Muktar Beshir; Akibu, Mohammed; et al. (August 2018). 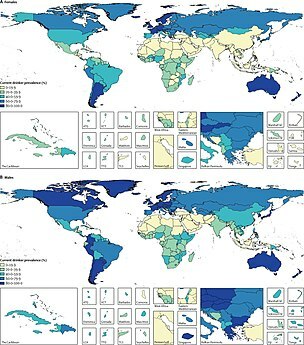 “Alcohol use and burden for 195 countries and territories, 1990–2016: a systematic analysis for the Global Burden of Disease Study 2016”. The Lancet. 392 (10152): 1015–35. doi:10.1016/S0140-6736(18)31310-2. PMC 6148333. PMID 30146330. ^ a b “Alcohol Facts and Statistics”. National Institute on Alcohol Abuse and Alcoholism. National Institute of Health. August 2018. Retrieved 8 October 2018. ^ Zielinski, Sarah (16 September 2011). “The Alcoholics of the Animal World”. Smithsonian. ^ John C. Super, “Alcoholic Beverages” in Encyclopedia of Latin American History and Culture, vol. 1, p. 45. New York: Charles Scribner’s Sons 1996. ^ Nelson, Max (2005). The Barbarian’s Beverage: A History of Beer in Ancient Europe. Abingdon, Oxon: Routledge. p. 1. ISBN 978-0-415-31121-2. Retrieved 21 September 2010. ^ Super, “Alcoholic Beverages”, pp. 45–46. ^ “Distilled spirit/distilled liquor”. Britannica.com. Retrieved 2013-02-05. ^ Lichine, Alexis. Alexis Lichine’s New Encyclopedia of Wines & Spirits (5th edition) (New York: Alfred A. Knopf, 1987), 707–709. ^ Lichine, Alexis (1987). Alexis Lichine’s New Encyclopedia of Wines & Spirits (5th ed.). New York: Alfred A. Knopf. p. 236. ISBN 978-0-394-56262-9. ^ Roberts, C.; Robinson, S.P. (2007). 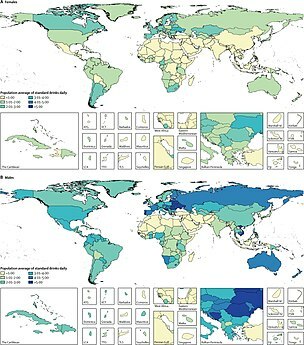 “Alcohol concentration and carbonation of drinks: The effect on blood alcohol levels”. Journal of Forensic and Legal Medicine. 14 (7): 398–405. doi:10.1016/j.jflm.2006.12.010. PMID 17720590. 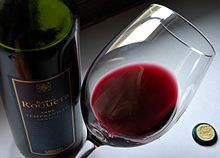 ^ “Non-Alcoholic Red Wine May Boost Heart Health”. Retrieved 6 May 2015. ^ Cheryl Platzman Weinstock (8 November 2017). “Alcohol Consumption Increases Risk of Breast and Other Cancers, Doctors Say”. Scientific American. Retrieved 13 November 2018. ^ Catherine Thorbecke (7 November 2017). “Even moderate alcohol consumption may increase risk of certain cancers, experts warn”. ABC. Retrieved 13 November 2018. ^ “Alcohol Use and Cancer”. Cancer.org. Retrieved 2016-08-25. ^ Cogliano, VJ; Baan, R; Straif, K; Grosse, Y; Lauby-Secretan, B; El Ghissassi, F; Bouvard, V; Benbrahim-Tallaa, L; Guha, N; Freeman, C; Galichet, L; Wild, CP (December 21, 2011). “Preventable exposures associated with human cancers”. Journal of the National Cancer Institute. 103 (24): 1827–39. doi:10.1093/jnci/djr483. PMC 3243677. PMID 22158127. ^ “The 5 Basic Wine Characteristics”. Wine Folly. 2012-07-23. Retrieved 6 May 2015. ^ “Composition of Foods Raw, Processed, Prepared USDA National Nutrient Database for Standard Reference, Release 26 Documentation and User Guide” (PDF). USDA. August 2013. p. 14. ^ Robert Metz; et al. (1969). “Potentiation of the Plasma Insulin Response to Glucose by Prior Administration of Alcohol” (PDF). Diabetes. 18 (8): 517–22. doi:10.2337/diab.18.8.517. ^ Shelmet, JJ; Reichard, GA; Skutches, CL; Hoeldtke, RD; Owen, OE; Boden, G (1988). “Ethanol Causes Acute Inhibition of Carbohydrate, Fat, and Protein Oxidation and Insulin Resistance”. J. Clin. Invest. 81 (4): 1137–45. doi:10.1172/JCI113428. PMC 329642. PMID 3280601. ^ Caton, S.J. ; Ball, M; Ahern, A; Hetherington, M.M. (2004). “Dose-dependent effects of alcohol on appetite and food intake”. Physiology & Behavior. 81 (1): 51–58. doi:10.1016/j.physbeh.2003.12.017. PMID 15059684. ^ Scinska, A; Koros, E; Habrat, B; Kukwa, A; Kostowski, W; Bienkowski, P (2000). “Bitter and sweet components of ethanol taste in humans”. Drug and Alcohol Dependence. 60 (2): 199–206. doi:10.1016/s0376-8716(99)00149-0. PMID 10940547. ^ “Find the Alcohol Contents of Beer, Wine, and Liquor”. Retrieved 6 May 2015. ^ Lichine, Alexis. Alexis Lichine’s New Encyclopedia of Wines & Spirits (5th edition) (New York: Alfred A. Knopf, 1987), 365. ^ Stewart, Graham G. “Biographical Review: Seduced by Yeast”. Journal of the American Society of Brewing Chemists (2015): 1–21. 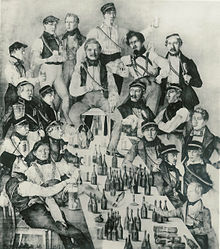 American Society of Brewing Chemists. 21 Jan. 2015. Web. 14 May 2017. ^ “fifedirect – Licensing & Regulations – Calling Time on Short Measures!”. Fifefire.gov.uk. 2008-07-29. Archived from the original on 2011-07-22. Retrieved 2010-02-11. ^ McGovern, P.E. ; Zhang, J.; Tang, J.; Zhang, Z.; Hall, G.R. ; Moreau, R.A.; Nunez, A.; Butrym, E.D. ; Richards, M.P. ; Wang, C.-S.; Cheng, G.; Zhao, Z.; Wang, C. (2004). “Fermented beverages of pre- and proto-historic China”. Proceedings of the National Academy of Sciences. 101 (51): 17593–98. doi:10.1073/pnas.0407921102. PMC 539767. PMID 15590771. ^ Roach, John. “Cheers! Eight ancient drinks uncorked by science”. nbcnews.com. Nbc News. Retrieved 9 June 2013. ^ Hassan, Ahmad Y. “Alcohol and the Distillation of Wine in Arabic Sources”. History of Science and Technology in Islam. Retrieved 2014-04-19.